With the rise of the "fake news", it's worth noting that consumers of all kinds should be wary of the content that they consume. 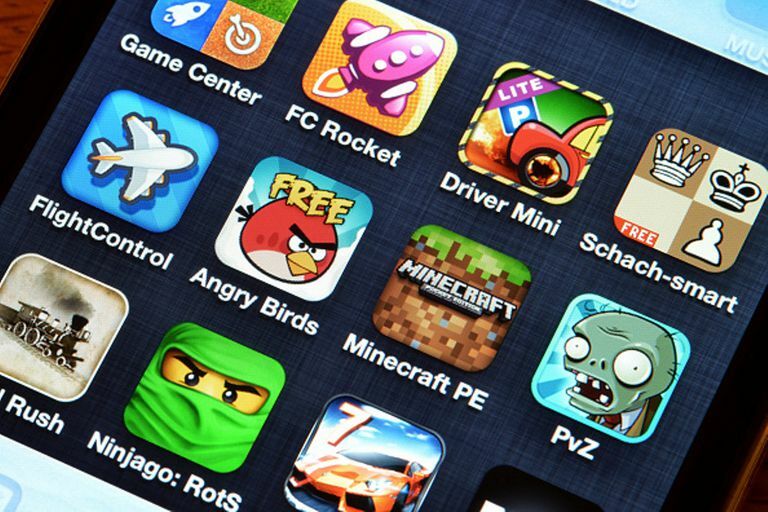 In particular with mobile gaming, it is quite possible for apps and games to be fake scams. In particular, fake games are a real concern for mobile gamers. Games like Totally Accurate Battle Simulator, Gang Beasts, and Superhot, which didn't have official mobile releases, are regularly cloned and sold on mobile app stores. That they don't have official mobile releases is a big reason for this – curious players will see these apps pop up and buy or download them because they want them for themselves. Here are tips and information to protect yourself from scam apps on the App Store. Why Do So Many Scams Pop Up? Mobile app stores make it very easy for developers to release apps on to their marketplaces. This means that many developers have had access to releasing games that they otherwise wouldn't. But it also means that scammers have had an easy way to release low-effort rip-offs and outright scams. Google, in particular, has an easy upload process for apps. Apple theoretically has a more stringent approval process that makes it tougher for scammers to get their apps past their teams, but in practice, they have allowed apps that have scammy keywords to appear alongside legitimate apps. For example, games that include unrelated full names or trademarks in their title will appear. Also, clones of games with the original trademark have appeared on the App Store over the years, with Gang Beasts and Totally Accurate Battle Simulator being the latest games to suffer such a fate. But Apple has run into issues before: The Blocks Cometh got a clone well before Halfbot was able to release it for mobile. How Can I Tell a Scam App? If you're surprised to see a game is out on mobile, then remember "if it seems too good to be true, it probably is." If a game is notable, it is likely to be featured by the app store, so if it's a recent release, you can often find it on the front page. Don't just go by the app name, that can be faked. Check the seller name and the information that the app store provides. Cross-check that with the developer of the game on other platforms. Sometimes this might not match, because of publisher agreements, but if it's a random individual name, be careful. The official website and social media for a game and its developers will link to the mobile versions. These are the best ways to ensure that the game or app you're buying is legitimate. Should Android users be more vigilant than iOS users? Yes, but iOS users need to be careful, too. Malware is a threat on Android, and the approvals for Google Play are far laxer than the Apple App Store. Yet, Apple has allowed a large number of games that are illegitimate to pop up on the App Store, despite having a dedicated App Store approval team. There have been games that just use keyword scamming to appear when searching for a real game. But also, several games that rip off titles that aren't otherwise available on the App Store. While some cursory investigation would reveal that these games are likely fake, Apple's approvals team lets many obvious fakes slip by. Developers also have been unable to get a game approved and make it into a fake app after it's improved by changing details for a few years now, at least without getting an app update approved. This is what happened with a fake Halo app (granted it was many years ago). What Kind of Games Get Fake and/or Scam Versions? Pretty much anything popular is prone to get fake scams. Fake Pokemon games have appeared over the years. If it's a popular search or a popular game from a major company, someone has probably tried to put a fake version out there. But even indie games get cloned with scam versions. Games that have wacky physics, like Totally Accurate Battle Simulator, Goat Simulator, and Gang Beasts, often are cloned because they're easy enough to duplicate. The quality behind the games is often from hard work that has subtle but important effects on the game itself, but the core concept is something that can be easily duplicated. Unity and other game engines make it possible for any developer with enough knowledge to quickly duplicate games like this. What Are the Risks of These Fake Apps? Well, many are just harmless, clones unleashed to make a quick buck or two before stores pull them down. Money that should go to the original, hard-working content creators is instead going to unscrupulous actors, and that's bad in and of itself. Cloned apps can be very demoralizing to developers, in particular because they can hurt business for the official versions of their games if and when they release on mobile. But on a more material level to the end user (that is, the people who downloaded/bought the game), scammers are also more likely to add elements that could include malicious permissions to mine data from you that they can sell. Or they could feature especially intrusive advertising, and on Android, install things like new lock screens. Be careful of permissions you agree to for apps that you may be unsure about. If you think you've been scammed, get your money back. Google Play offers refunds within a couple of hours of buying an app, no questions asked. Just visit the app's page and use the refund button. You can also request refunds from your purchased history after the refund period is over. In particular, if an app is a scam product, you are more likely to get a refund than if you just don't care for an app. On iOS, you need to contact Apple about any refunds, but it's not a guarantee. Apple is a lot more permissive of refunds after EU policies made stores like them and Steam implement refund policies. As such, there's more of a chance now than in the past to get a refund for an app if there's a major issue. And an app being a fake scam is a good reason to get a refund. Google offers a takedown request form for apps that are scams. This allows you to easily and directly report an app that might be a rip-off. Apple does not have a direct request form but following these steps will help.